Once again on the pages of TNT-Audio, we get ready to analyse a pair of loudspeakers produced by Triangle Electroacoustique. The Comete 202 are one of the base products of the "Espace" series, a complete line of speakers where you can find bookshelf models (as the small Titus reviewed a couple of weeks ago here on TNT-Audio), floorstanders, subwoofers, centers and rear channel models for Home Theatre applications. The production of the house has one more prestigious series, the "Universe Line", the main technological expression of the French producer, within which are present important floorstanding models, and all that is needed for the composition of high quality Home Theatre systems. The Comete are relatively small bookshelf speakers, with a pleasant aesthetic aspect and a good level of finishing. The dimensions are 400 x 220 x 297 mm for height, width and depth, for a weight of 7.5 Kg. each. The project has been developed as a two-way configuration, bass-reflex, with the port on the front baffle. The speaker drivers used are a woofer of about 16 cm diameter with a folded surround suspension (PP72C), and a 2.5 cm. (TZ202) tweeter with Nextel-treated dome, both made by Triangle. The tweeter in particular raises interest for its visual appearance. It is lightly horn-loaded, with a "substantial" and striking (golden) phase alignment guide, and a silver dome. The cross-over frequency is about 4.5 kHz, and biwiring is allowed thanks to a double pair of good quality gold-plated binding posts. The manufacturer claims a frequency response between 55Hz and 20KHz, and an applicable maximum RMS power of 80W (160W peak). The impedance datum is quite interesting being 8 ohm nominal with a minimum of 4 ohm, while the efficiency is quite high for a small bookshelf loudspeaker, being 91dB (W/m). After a good period of break in, I began the critical listening of this interesting pair of French speakers that, I should say, did show to be sensitive to the quality of the "sparring" partners (associated equipment). They do not hide their desire for good amplification with a sweet-humoured, warm and full sound in the medium range, absolutely not aggressive on the high midrange, and with a good control in low and midbass range. A good quality source, with a balanced tonality and high detail retrieval will complete the picture. In such a configuration, the Comete 202 are in a position to show a good tonal balance, with a warm and detail-rich sound. It is unrealistic to expect an extended bass range, considering the physical limits of the speakers, but from where they are able to start, these French bookshelves give back a tangible and vigorous bass. At times, probably because the cabinets don't appear solid and non-resonant as they should be, you have the feeling that the midbass is somehow more relentless than necessary, but this characteristic is not serious enough to be considered a flaw. Beautiful is the midrange, warm, relaxing and not tiring at all. The high midrange, rather free from colourations, is correct and balanced, if held under control with correct partnering equipment and there is no over-aggressiveness that could lend to listening stress. The high and highest ranges appear to be very good, rich of details and rather airy. It is immediately self-evident the good efficiency and dynamic contrast, at high as well as low listening levels. A good sense of realism is reached from the first listen, making it pleasingly involving within the limits of the price range. I think that these two aspects should be highlighted, because they show the difference between a speaker that, otherwise sounding well, reveals at the end itself to be quite difficult to drive and considerably cold, and another one that instead succeeds to express with vitality and speed without necessarily being connected to a real powerhouse of an amp. I also found a creation of the virtual image that I sincerely did not expect (goodness knows then why...). Precise, accurate, stable, perfectly focused and well sized in the three dimensions, and indeed very enjoyable. The only advice I had to follow was "toe in" the speakers towards the listening point, with the axis of the two tweeters crossing a good meter before the tip of my nose. There is a distinct sense of general airiness and clarity. 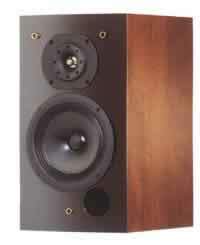 The Comete 202's are a pair of speakers which provide musicality without a high price. Choose a balanced source and good quality amplification, even low power (tube or solid state) with a sweet sound on the high midrange, and then you will be able to enjoy many pleasant hours with your preferred music.